good-ness: what the locals eat. I must.have.that.book - what a great title and cover. 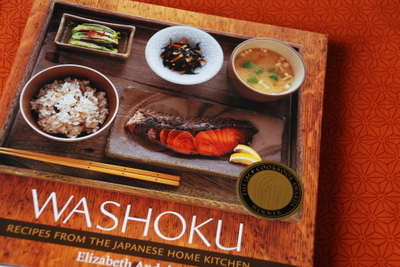 You are so energetic - my wish would be for someone to SERVE me sugoku oishii japanese food all day. Loved the rice story too - you are so funny. oh yummm! i want some rice...and some japanese food!!! NOW! Totally sympathize with the rice withdrawal. It's the starch staple in Hawaii as well. Um, but the rest of the food looks better than Spam, which is the other Hawaii staple. Ask your friends if they ever heard of a spam musubi (heh). That is hilarious about shopping for rice... I would totally do the same thing!! That melon looks yummy and you are right, that box is adorable!! i am a rice lover, too. wish we had all those choices. i think your method sounds about perfect! I totally understand too!! I have an Asian background, so I grew up with rice....three meals a day, pretty much. I'm a little better now as my partner cooks very yummy food, from Asian dishes to Greek, Italian, West Coast Canadian etc, etc! He's a natural! My weakness is food- good food. mmm that book looks super! YUM Can you get that outside of Japan? I've done exactly your same rice-choosing method....except I did it for cold meats in a grocery in Italy (while on a month-long holiday). How funny! If the locals buy it, must be pretty good.....We eat a lot of rice here, too. Both the husband and I think its a lot less heavy than mash. The rice in Japan is far superior to what we can get over here in the US. You are so lucky! I was visiting in Japan 3 years ago and still remember the rice! Yeah, fruit is so expensive in Japan. 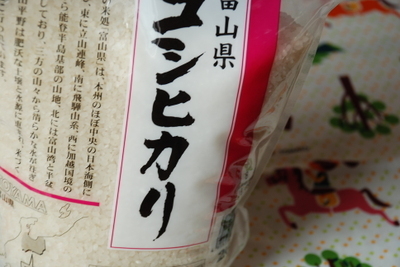 I understand what you are saying about rice. My husband is Filipino and had to get Chinese when we were in Italy because he was going through withdrawl. The only other family in the Chinese restaurant in Italy was Filipino too. 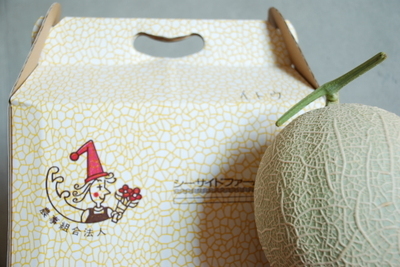 I just saw a similar melon for sale here in Singapore - for SGD50! (that works out to be about USD33 or so). You have to tell me if it's worth that kind of money. that recipe book does look great. Your cooking always is presented so well.